When you were younger, going to school seemed about as much fun as a trip to the dentist (or, for adults, your accountant). But if you and your family are in a socially vulnerable position, and you’re going to school hungry, it‘s worse. There are far too many children in our city in this position, and Team Ford and Go Auto are doing something about it. Enter Go Auto’s Go Gives Back Program and, more specifically, the Fuel the Schools initiative. With the help of Go Auto, Team Ford is taking part in a campaign to make sure that Edmonton school children don’t go hungry. Our talented corporate chef, Bryan Dwernychuk (the man bakes cookies that would make your grandmother blush), and his team are working hard to put together healthy meals that Go Auto staff, including your friendly neighbourhood Team Ford crew, have been delivering to children since April. This is an initiative we will continue until the year ends. Our marketers, our service technicians, our sales people, our accountants, our everyone will be visiting local schools to ensure that inquisitive young minds are not held back by empty stomachs. Speaking of accountants, we know you’re interested in numbers, the raw data. You want cold hard facts about warm, delicious meals, so we’re going to give you both. Over the course of the Fuel the Schools program, Team Ford and Go Auto will be giving out 62,000 meals before the end of 2018. According to Snickers, we all do better when we’re not hungry, and the Fuel the Schools initiative is in place so that children from all over the city will be performing at their best.  Team Ford is proud to be a part of a company focused on giving back to the community, and Fuel the Schools is just one small part of it. Go Gives Back has contributed, and will continue to contribute, to charitable organizations throughout the city for as long as we have the means to do so. We wouldn’t be where we are without the support of our communities, so it is only right that we offer our support in return.